With the warm easterly wind continuing there was a distinct increase in the numbers of migrants on the ground and a decent overhead movement but the sea remained fairly quiet. Among the good numbers of migrants on the land were a rarity in the form of a Turtle Dove, 35 Goldcrests, 12 Firecrests, 160 Chiffchaffs, 12 Blackcaps, two Garden Warblers, a Grasshopper Warbler, a Sedge Warbler, the first three Song Thrushes of the autumn, ten Spotted Flycatchers, three Redstarts, 30 Wheatears, a Rock Pipit, and 35 Reed Buntings whilst birds passing overhead included four Buzzards, a Hobby, five Yellow and four Grey Wagtails, a Tree Pipit and 420 Meadow Pipits. Ten Porpoises were feeding offshore. 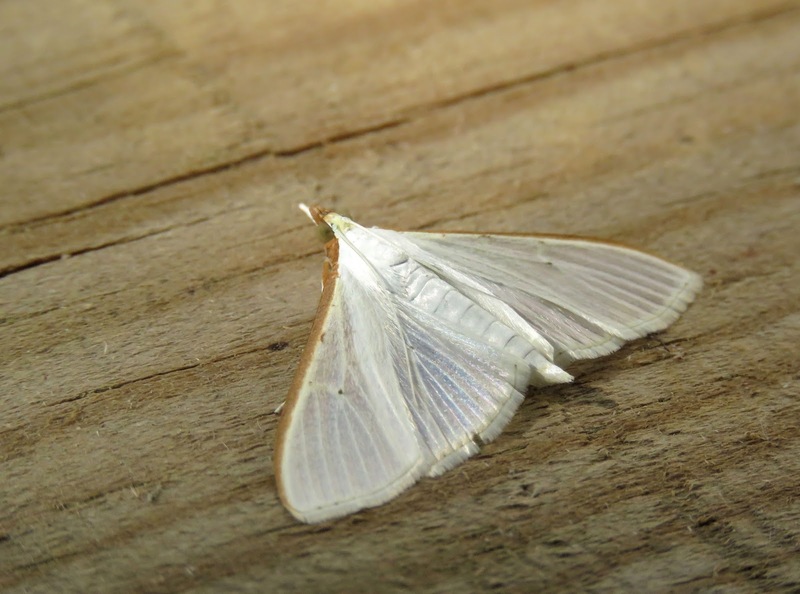 The moth trap was good this morning with two Clancy's Rustics, a Delicate and the migrant pyralid Palpita vitrealis of note. 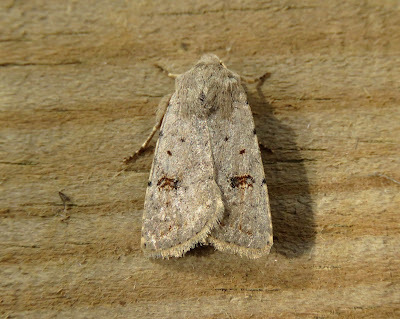 Clancy's Rustic was first seen in Britain at Greatstone in 2002. 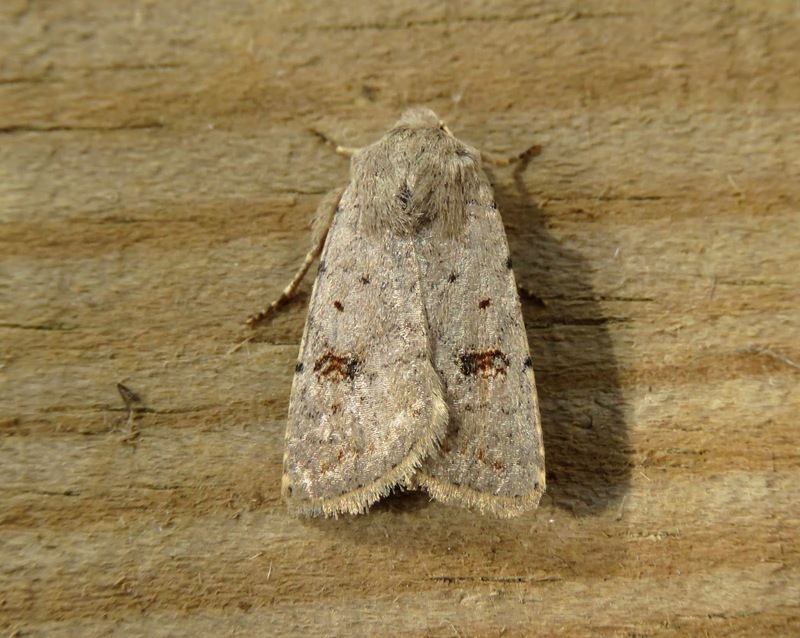 It then increased rapidly across southern Britain, with the first Observatory record in 2006 and when 14 of the 15 previous Observatory records were seen and with final individual on 6th October 2013. A Clouded Yellow was also seen.